Our strategic framework, approach and related targets, are endorsed by the board and institutionalised reporting structures ensure board oversight of progress. Barloworld does not have forced and compulsory labour. It is contrary to the group’s Worldwide Code of Conduct, our values and ethics. As the group represents leading global principals and suppliers it is not aware of any use of forced and compulsory labour in its supply chains nor has it identified any suppliers at risk. Suppliers, service providers and contractors are also expected to comply with applicable legislation; they are also expected to comply with their contractual obligations, which set certain standards of conduct. Evidence to the contrary, would result in appropriate action being taken according to the circumstances. b. Measures taken by the organization in the reporting period intended to contribute to the elimination of all forms of forced or compulsory labour. 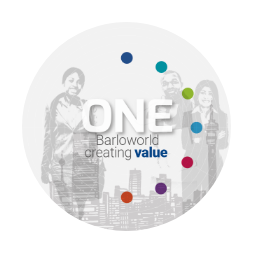 There is no forced or compulsory labour in any Barloworld operation. It is contrary to the group’s Worldwide Code of Conduct, our values and ethics, policies, recruitment practices and illegal in the countries in which the group operates. No Barloworld operations are identified as being at risk for any of these aspects. By representing leading global OEMs and brands, Barloworld participates in supply chains that conform to norms and regulations and aspire to the highest standards. The group has not identified any significant suppliers or service provider as having significant risks of forced or compulsory labour. If a non-conforming supplier was identified, appropriate action would be taken according to the circumstances.